For almost every woman who has been pregnant and taken pre-natal vitamins, you know that one of the benefits is strong, luxurious and growing hair. I remember for me personally, especially when I was pregnant with my son, my hair was amazing. It had an amazing shine, it was healthy and it grew about 5 inches. After I had him however, and stopped taking the pre-natal vitamins, what I experienced was thinning in the area of the widow’s peak which is towards the front of the hair line. Instinctively I knew that what I was experiencing was as a result of no longer taking the supplements in addition to all of the nutrients that were being depleted from my body by this amazing baby boy through breast feeding. Twenty five years ago I realized the importance of taking supplements internally for optimal hair health and growth. Fast forward 15 years and I learned about transdermal products and their effectiveness in supplying the body with needed nutrients. To understand how transdermal products work you need to understand a little about the skin. Years ago the skin was considered a barrier. Today we know that the skin is a permeable layer through which chemicals pass directly into our bodies. The skin is made up of several layers: the epidermis (the part we can touch), the dermis (where the blood vessels live) and the subcutaneous tissue called the hypodermis. A product that is transdermal is able to penetrate all three layers, delivering medication or nutrients through the bloodstream. In order for transdermal delivery to take place the molecular structure of the product needs to be small enough to penetrate. This enables the product to be absorbed into the skin, or in the case of your hair the scalp, in order for delivery of the nutrients to take place. If a product contains oils or ingredients that have a larger molecular structure than the skin, they will just sit atop of the scalp and not allow for penetration. What this means is that even if the product contains ingredients that are great for hair nutrition and hair growth, the nutrients are not able to penetrate for optimal benefit because the molecular structure of the product is larger than the skins. When the body is nutritionally deficient, which is the underlying cause of many hair issues, and we take internal supplements for the hair, because the body is an intelligent system it is going to pull nutrients for those organs that are more deficient, i.e. the kidneys, liver, etc. So what is left over will be delivered to the hair, which might not be a whole lot depending on the deficiencies. 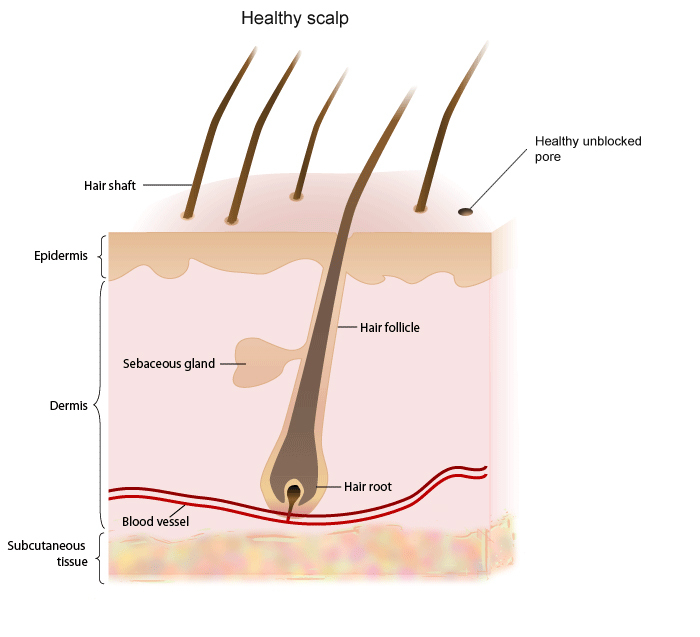 Using a transdermal product, such as can be found at http://www.theherbalnatureway.com, can provide the hair with direct delivery of the needed nutrients. This is why it is always a good idea to use internal supplements and transdermal products in conjunction with one another for optimal hair health and growth. Remember as within, so without. What manifests on the outside of the body is always a reflection of what is going on inside the body. For more information on how to have healthy hair, visit http://www.gethealthyhairnow.com. This entry was posted in African American natural hair, dry hair, hair breakage, hair loss, hair shedding, Healthy Hair Care, Long Hair Care, Natural Hair Care and tagged supplements for hair, Transdermal, Transdermal healing, transdermal supplements.